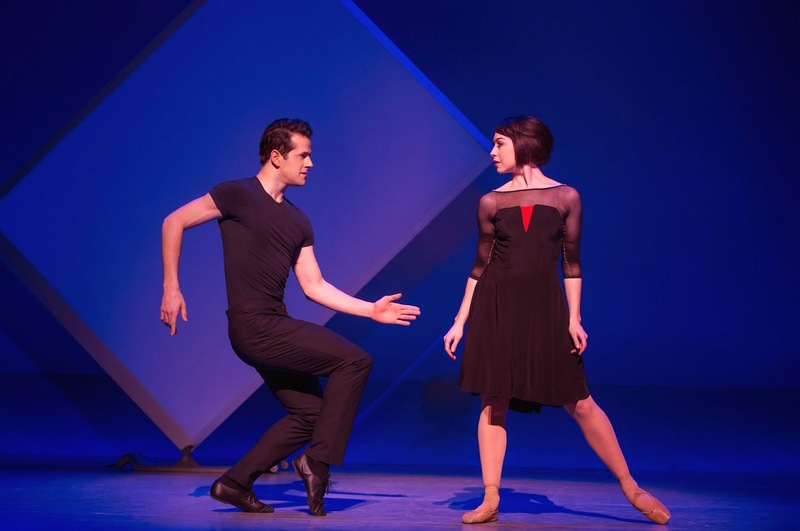 Broadway has a new pair of ballet-bred stars: Robert Fairchild (Jerry) and Leanne Cope (Lise) in An American in Paris, opening today at the Palace. Both are superbly cast as the leads—one an optimistic American ex-GI roaming Paris as an artist, the other a blossoming ballet star tethered by moral debts and expectations. Ballet native Christopher Wheeldon's direction and choreography brings elegance and intelligence to this popular milieu. The book, adapted from the movie, is by Craig Lucas, and doesn't shy from acknowledging the all-consuming war, including the resistance and the persecution of Nazi sympathizers. Those of us fortunate enough to have followed Fairchild's starry career at New York City Ballet have seen his athleticism, his jazzy approach, his irresistible enthusiasm and generosity in performances. A natural in Jerome Robbins' work—a stepping stone between ballet and musical theater—it seems perfectly logical to move to Broadway. He can sing as well, and if not his strongest suit, certainly as well as other famous dancers-with-other-skills such as Fred Astaire and Gene Kelly, his role model. Fairchild's ballet training is his secret superpower; his leaps on the relatively small stage appear even more heroic and weightless than at the Koch; his turns top-like. And as a chatty viewer behind me exclaimed every time he began a solo, he is so smooth. Smoothsmoothsmooth! Cope, a Brit of Royal Ballet pedigree, possesses an intangible magnetism that, in the show, quite understandably makes her the object of three men's affections. A petite gamine with a million-dollar bob, she has gorgeous lines and feet. She also manages to convey humility and a secretiveness so essential to contrast with Jerry's American openness. The supporting roles are deftly cast as well, including Max von Essen (Henri), Brandon Uranowitz (Adam), and Jill Paice (Milo). 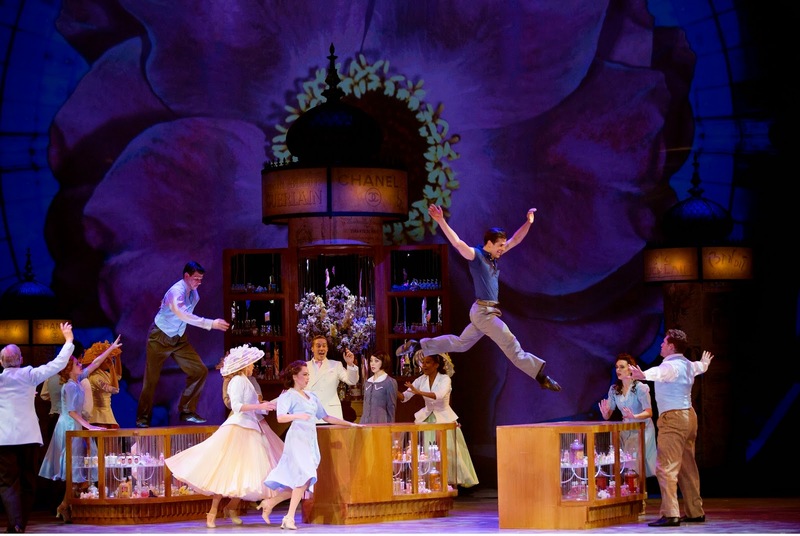 The production should appeal to Broadway audiences seeking the Gershwins' sturdy romantic pop standards (music is overseen by Rob Fisher) sprinkled with old favorites such as "I Got Rhythm," "The Man I Love," and "'S Wonderful." But for those of us who don't care for the shrill, unsubtle performances so often seen on Broadway, the good news is that Wheeldon's production is tasteful and smart. His choreography, not surprisingly, tends toward the balletic, with jazzy angular arms and a low center of gravity. There's little of the abject need for attention so often felt in Broadway production numbers. Bob Crowley's sets are compact mobile pieces, some with picture frames or modern art motifs onto which imagery is cast (by 59 Projections). Large-scale projections in an Impressionist style grow and shimmer on the backdrop, including some of Paris' iconic sights. Key production numbers include one set in Galeries Lafayette, in which Jerry hops from showcase to showcase, his extended leg skimming the countertop. "Stairway to Paradise" moves from a jazz speakeasy to Radio City and back, and includes the requisite kickline done by both showgirls and tux-clad guys (the natty costumes are also by Crowley). An avant-garde, salon style ballet presentation features dancers making hilarious moves that manage to be just one notch to the left of real. And the beginning and end of the grand finale ballet cleverly situate us behind the stage, looking out past the performers (in Mondrian-esque costumes) into the "audience." Jerry and Lise are clad in sleek black outfits for the dream sequence—a snazzy, captivating duet in which the white set is reduced to simple geometric shapes, better to feature the couple. And as with the best dreams, we want them to keep dancing forever.